I know it’s been months since this race but I’ve only gotten hold of the photos recently so i think it’s about time I share this wonderful race experience with everyone. 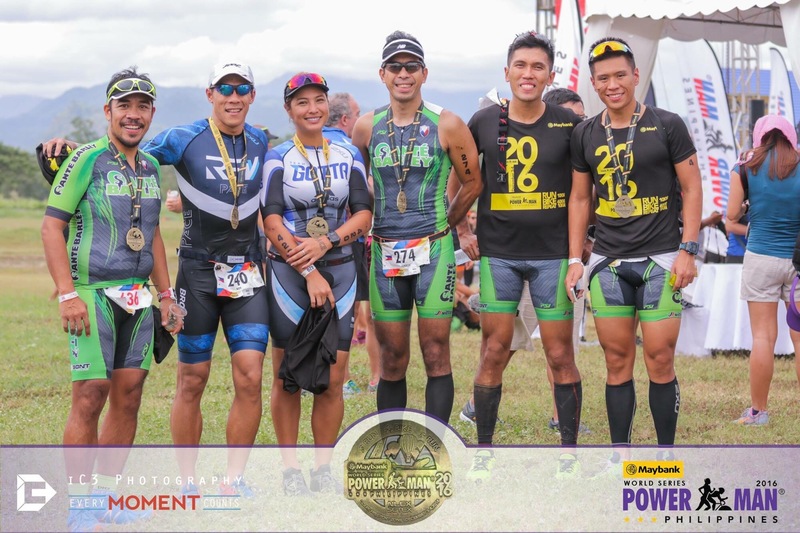 Last year, I got an invite to join the Powerman Duathlon 2016 in Clark, Pampanga. 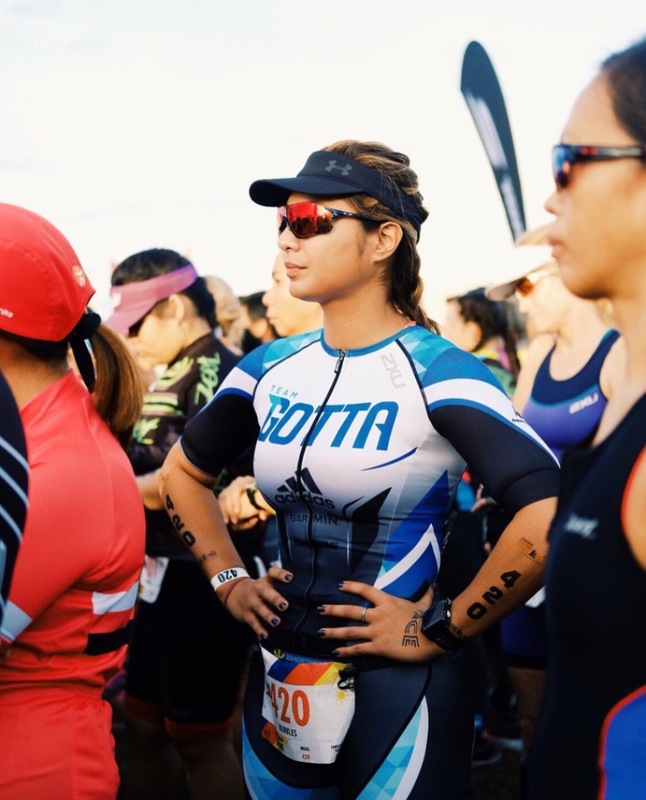 I’ve never done a Duathlon before but I was told to expect pain as it is a run – bike – run race, which would be heavy on the legs. 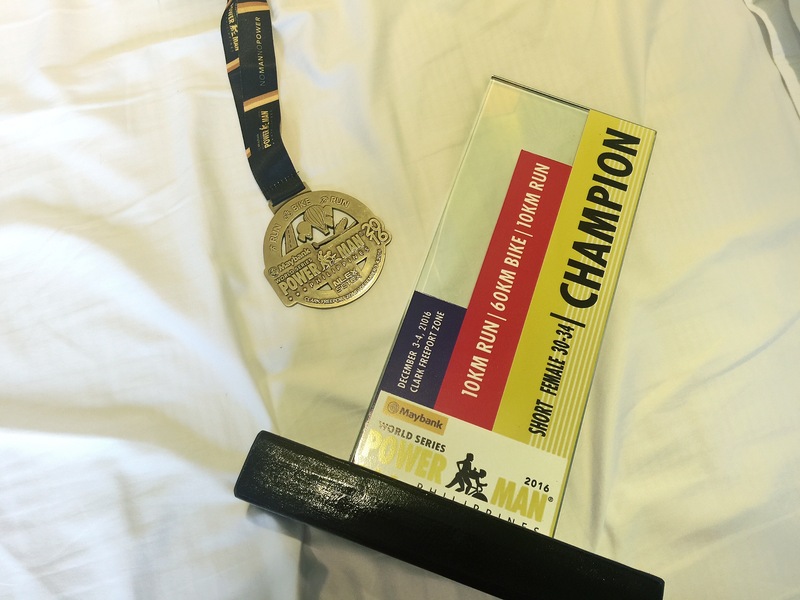 As the days came close to the race, I started to get mental and slacked off in training. I didn’t really want to do it anymore. 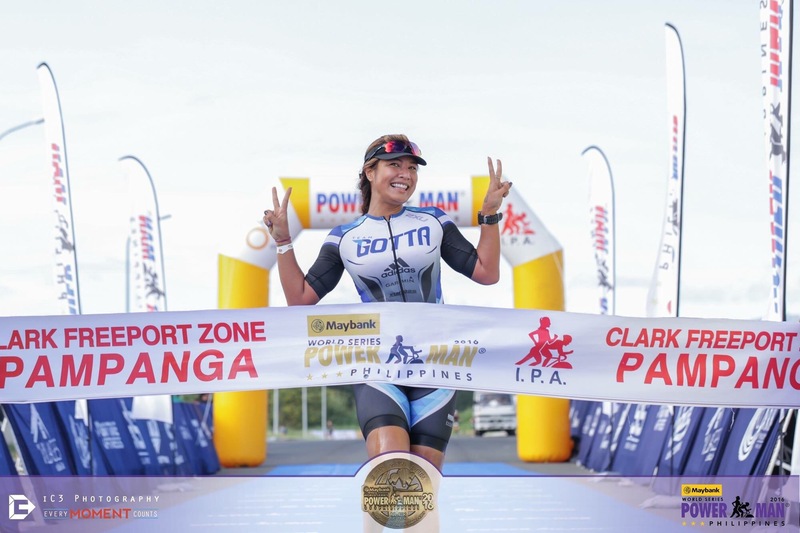 But 2 of my tri friends, Noy Basa (who is also my swim coach for tri) and Jonah Rivera were doing the race with me so I thought I’d just do it for the experience. Don’t get me wrong though, even if I “slacked off” in training it doesn’t mean I really let go. I just had an additional rest day, that’s all. But I’d still do my long bike rides and long runs as I should. On the day of the race, i felt good but sleepy. We had to wake up way before dawn to head to the race village and prep our gear. Since I was doing the shorter distance (with most registered athletes), I was on the second to the last wave, which meant the wait til gunstart would be longer. I only had one cup of coffee instead of two so to say I was sleepy was an understatement. Jonah was asking me if I still wanted to race because he found me sitting on the grass with my head down and eyes closed… then I said “yeah… I’ll just aim to finish fast so I can go back to bed.. my motivation will be my hotel bed” — oh what motivation that was! And so when the gun was shot for my wave, I started running .. but took it easy as I didn’t want to tire my legs out too much. My goal was to finish the race in 2 hours, or perhaps 2:12 but no longer than that. I finished my 5k run in the middle of the pack, noting as I got into transition that half the bikes were gone. Half. Oh well! I becan running like I stole something. I ran as hard as my tired, heavy yet jelly legs could go. I kept looking back checking if there was anyone behind me. On the last kilometer I wanted to walk but I could hear Coach Ige’s voice in my head telling me I’m not allowed to do so. And upon seeing the finish line, I sprinted, saw the banner, posed and crossed it. Yes, I had to pose. Being the Asian that I am, I threw two peace signs by my face and smiled. 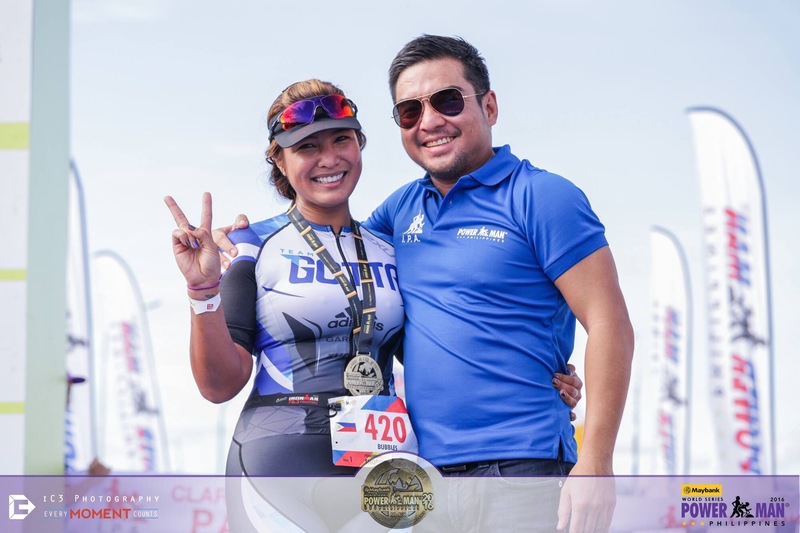 Raymund Magdaluyo, the organizer of this race (who is also a friend) gave me a tight hug as I crossed the finish line and screamed “I’m so proud of you!!!! 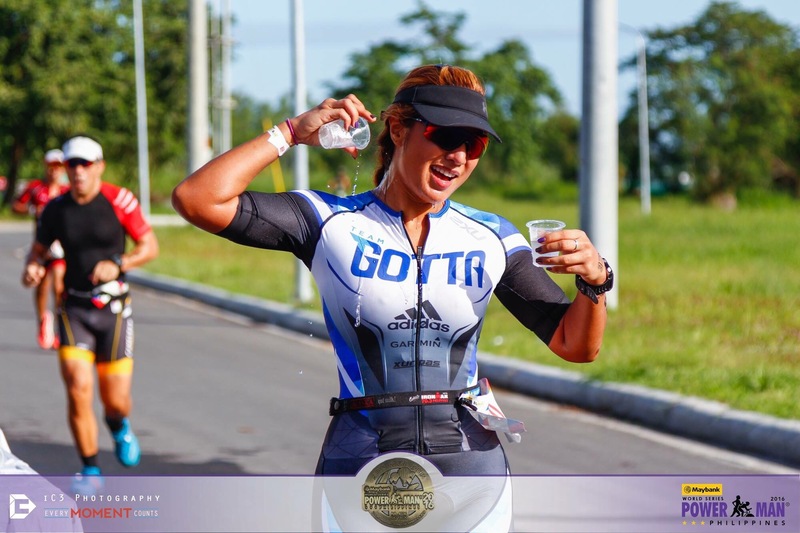 !”– I didn’t have any idea why until one of the marshalls told me that I was the third woman overall to cross the finish line. WHUUUT. I was so elated. It felt so surreal. I did a sub2 hr finish.. waaay faster than I expected I could. Yay! 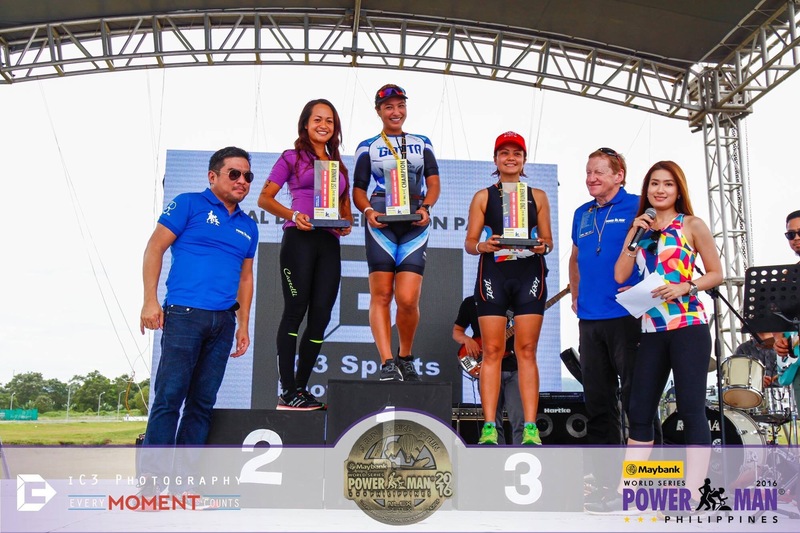 To win first place in my age group and third woman overall on my first ever Duathlon was priceless. The elation I felt was so indescribable. All I can say is that it wiped the exhaustion from my body and I just had endorphin overload. That was the last race that I joined for 2016. 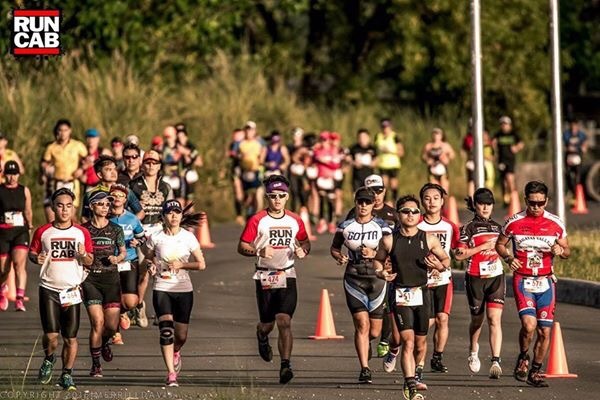 And now, its two weeks away from my first race of the year, which will me my first Ironman 70.3 race. I’m not sure how I’ll fare as I’m still nursing a shin injury but I think I can still finish, with a smile I hope.. wish me luck! 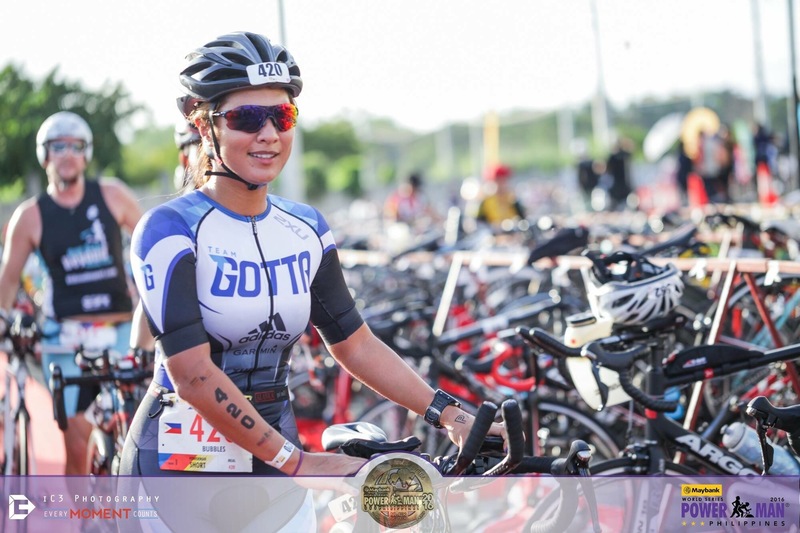 Special thanks to Carlos de Guzman of SBR for my race kit and accommodations. You the best!